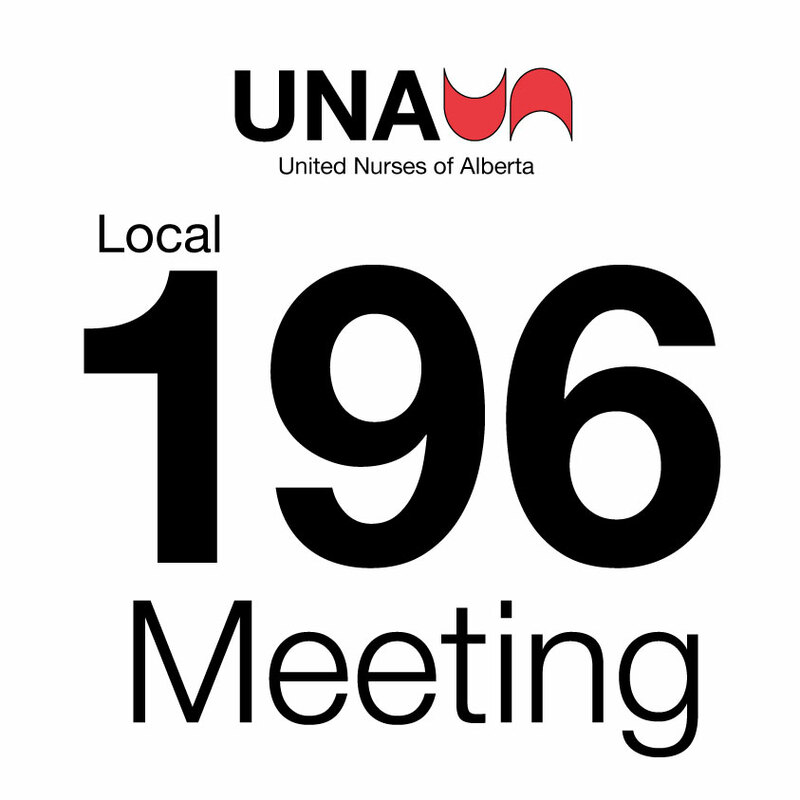 Local 196 will be holding a Special Meeting on May 15, 2019 at Fantasyland Hotel, West Edmonton Mall located at 17700 87 Ave NW, Edmonton, AB. Meeting is open to all Local 196 members. Please register for the meeting via DMS. This is a special meeting to discuss and approve negotiation proposals put forth by Local 196 members and Executive. Approved proposals will be submitted to the Provincial Negotiating Committee. Local 196 will be holding a Special Event: Education Presentation and Open Forum on April 16, 2019 at Fantasyland Hotel, West Edmonton Mall located at 17700 87 Ave NW, Edmonton, AB. Members of Local 196 may attend. “Recognize, Respond and Refer the Symptoms of Domestic Violence” How do we recognize it? How do we respond ? And what are the referrals available? Open Forum with guest Duane McEwan, Labour Relations Officer, UNA. “What do local fire fighters, bus drivers, power plant workers, senior police officers, and other City of Edmonton workers and managers all have in common with community nurses and Alberta Health Services managers? The Edmonton Civic Employees Charitable Assistance Fund (ECECAF) has more than 11,000 participating members from nine local unions and employee associations. Each worker contributes a percentage of their salary to the fund every month. Some of the money is spent on member services such as driver education subsidies and scholarships; however, the majority of the funds (more than $1 million a year) goes to local charities, including the e4c School Nutrition Program at Edmonton’s five All In For Youth Schools, an initiative funded by United Way of the Alberta Capital Region. Employees from these nine local unions make up ECECAF. ECECAF partners with a wide variety of charities, including the Children’s Wish Foundation that transformed six-year-old Mable Tooke into the cancer fighting superhero “Spider Mable”. ECECAF has purchased a washer and dryer for a newcomer settlement agency, sponsored police dog agility training trials, and last year, gave its largest donation ever – $2 million towards the renovation of NorQuest College’s downtown Heritage Tower. The goal for ECECAF’s board is to ensure the donated dollars always have “maximum impact to lift lives up within the communities that we live and work in”. “ECECAF is not about giving handouts. ECECAF supports agencies that walk alongside others to give others a hand up. There is evidence that low literacy early in life, poor nutrition, poor school performance, and lack of employment skills contribute to the cycle of poverty. This is why ECECAF’s committed to supporting school lunch programs, early literacy development and youth employment programs. ECECAF is helping to build foundations of success for children and youth in our region. Tilda Shalof has been a caregiver all her life — at home for her family, at work for strangers — but her skills didn’t come easily. From when she was a child taking care of her sick parents to her career as an ICU nurse in one of Canada’s largest hospitals, there have always been daunting challenges and worthy rewards for her work. With her trademark humour, unflinching honesty, and skilled storytelling, she will be sure to make us laugh and teach us a thing or two! 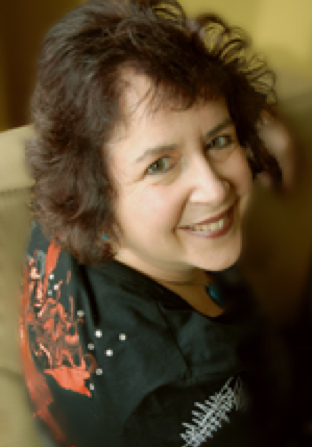 FURTHER DETAILS ABOUT HER TALK TO COME…..
Fantasyland Hotel, 17700 87 Ave. Registration must be completed using a non-AHS email. Click the Eventbrite link to register. PAPER OR E-TICKET REQUIRED FOR ENTRY. If you have registered and are no longer able to attend, please cancel your ticket via Eventbrite or email Local196Education@una.ca prior to the registration deadline. Has your child applied for the ECECAF scholarship? Deadline is March 31, 2019! Posted on March 4, 2019 | Comments Off on Has your child applied for the ECECAF scholarship? Deadline is March 31, 2019! As a member of Local 196 UNA, you contribute to the Edmonton Civic Employees Charitable Assistance Fund (ECECAF) and your child can apply for an ECECAF post secondary scholarship. The ECECAF Scholarship program will provide up to $4,000 over 2 consecutive terms ($2,000 per term). Comments Off on Has your child applied for the ECECAF scholarship? Deadline is March 31, 2019! The United Nurses of Alberta Negotiating Committee met today with the Employer Negotiating Team for Alberta Health Services, Covenant Health, Lamont Health Care Centre, and The Bethany Group (Camrose). UNA proposed to increase all rates by 3% as of April 1, 2019. 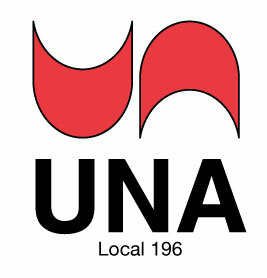 UNA’s proposal was based on input from UNA members and consideration of inflation rates for 2017 and 2018, as well as associated loss of purchasing power during the same period. The Employers have proposed no adjustment to the salary appendix. YEAR 3 – April 1, 2019 WAGE REOPENER. AHS proposes that wage rates remain stable with no change for the 2019 year. Our proposal is reflective of the economic situation in this province as of today. AHS has continued to provide our Employees with stable employment and competitive compensation. 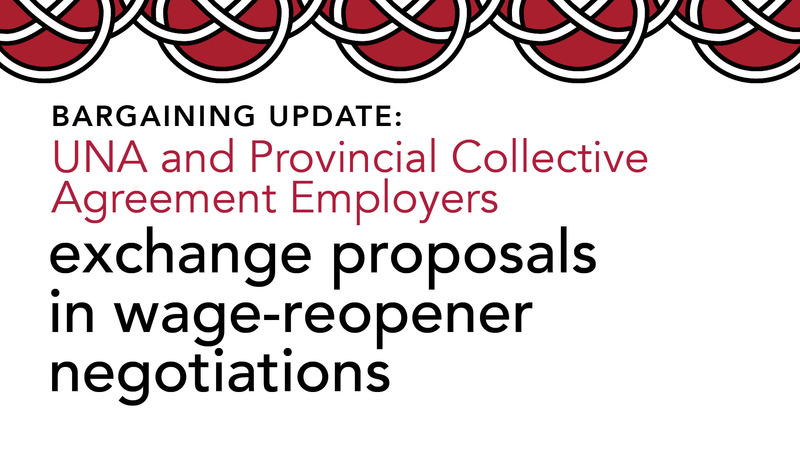 Employer Proposal: April 1, 2019 – 0% wage increase for all classifications in the Salary Appendix and Local Conditions of the Collective Agreement. • No further dates set at this time. FYI – the current Collective Agreement was ratified one year ago, February 15th, 2018.